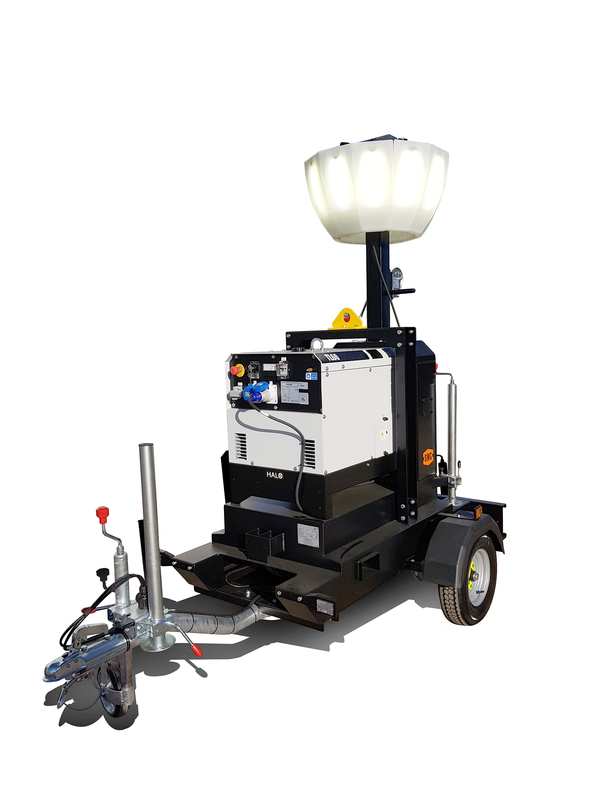 Morris Site Machinery has created two new versions of its revolutionary Halo, the powerful anti-glare next generation lamp head, to provide more choice for the market. The success of the 1200W Halo lamp with its virtually indestructible casing and soft diffused lamp has prompted the introduction of smaller 600W and 300W models. They share the same robust quality and give an even spread of light with an anti-glare diffuser, but their reduced size provides a value option and fuel saving. The 600W Halo fits on the company’s SMC TL60 family of lights, its trolley light, skid and road tow options. It is particularly suited for construction, rail and events use. The 300W Halo Mini is a single segment lamp head on a stand which has all the benefits of a low-glare soft light that can be angled to provide directional soft light for specific tasks. It is durable and sturdy and easily transportable. It is versatile and can be used on film sets to provide a soft back light or to help trades like plasterers see where they are working. Sales director Richard Denholm said: “Halo is a shining example of our innovation as growing orders and interest in it have demonstrated. We have introduced the two smaller models to broaden its appeal and provide greater choice but without compromising on quality or reliability. Morris Site Machinery is part of a fifth-generation family business group. It manufactures and supplies world leading site machinery brands and products to serve the hire industry across a range of sectors. For more information on Morris Site Machinery’s range of lighting visit www.morrismachinery.co.uk or call 01902 790824.